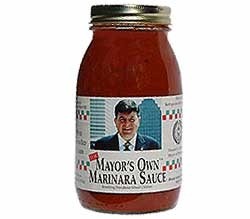 This entry was posted in Buddy Cianci, Cianci, Politics, Providence, Rhode Island and tagged Buddy Cianci, Cianci, Patrick Kennedy, Politics, Providence, Rhode Island. Bookmark the permalink. Why would not living in RI have anything to do with you voting here? Many of our voters don’t even have the heartbeat you mention…. Never doubt Michigan’s supremacy in such things. Our crapulence cannot long be eclipsed by you amateur northeastern states.